The Irish singer-songwriter Andrew Hozier-Byrne is something of an enigma in the modern music industry. After a phenomenally successful, Grammy Award-nominated, platinum-selling debut album the talented musician from Bray in County Wicklow waited almost three years before announcing the follow-up to the album 'Hozier'. In a business which is obsessed with capitalising on success the quietly spoken singer's revelation that his much awaited second album was "written, but still in progress" has intrigued his critics and frustrated his fans eager to buy the much anticipated second album. Hozier's career began to take off in 2014 when his debut EP 'Take Me to Church' made the transition from free download to formal release and topped the charts in 12 countries becoming a rock radio hit in the US. 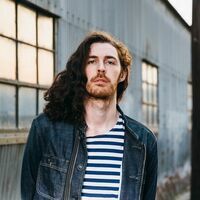 The success of the single provided an early indication of the potential appeal of Hozier and the success of the album was something which informed observers in the music industry had been predicting for some time. The artist's 2016 release 'Better Love' was incorporated into the soundtrack of 'Legend of Tarzan' providing further valuable global exposure for the singer. ℗ 2016 Rubyworks and Warner Bros. Entertainment Inc.
50 Workout 2018! Music Hits!